Protein science, protein characterisation, protein expression and purification, protein biochemistry, protein biophysics, protein X-ray crystallography, drug design, ligand optimisation, protein-protein interactions, protein-ligand interactions. IXTAL is a research-driven company that provides solutions in the field of protein science, structural biology and drug design. 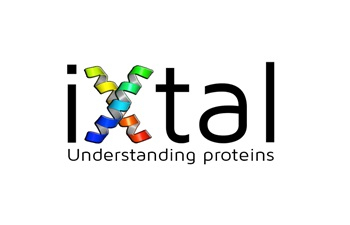 IXTAL offers to its clients a complete portfolio of discovery services concerning the production of target proteins, their biochemical and biophysical characterisation and their structural analysis by means of X-ray crystallography. IXTAL core services include in silico drug design for drug discovery and lead optimisation. IXTAL activities rely on the experience accumulated by its founders in the field of protein science and research. IXTAL’s state-of-the-art facilities and instrumentation allow the Company to provide advanced, rigorous and valuable scientific results for academic and industrial partners. IXTAL is a Spin-off of the Department of Pharmaceutical Sciences of the University of Eastern Piedmont in Novara (Italy). The company operates in a stimulating and interdisciplinary environment that strongly promotes integration between academic and industrial research.